Product prices and availability are accurate as of 2019-04-19 03:29:15 EDT and are subject to change. Any price and availability information displayed on http://www.amazon.com/ at the time of purchase will apply to the purchase of this product. Students of Introductory Spanish learn best when they are connecting—with authentic culture, with each other as a community, and with the language as used in real-world settings. Conéctate sparks the curiosity that builds these connections as students drive toward communicative and cultural confidence and proficiency. The Conéctate program’s distinctive approach is built around the following principles. Focused approach: Conéctate concentrates on what Introductory Spanish students can reasonably be expected to learn, allowing for sustained engagement with the material that respects the natural process of language acquisition. An intentional focus, first on meaning and then on form, puts in action the best practices of second language pedagogy. Plus, Conéctate’s reduced grammar scope leaves more time for the systematic review and recycling of vocabulary and grammar required for students to achieve mastery of first-year skills. 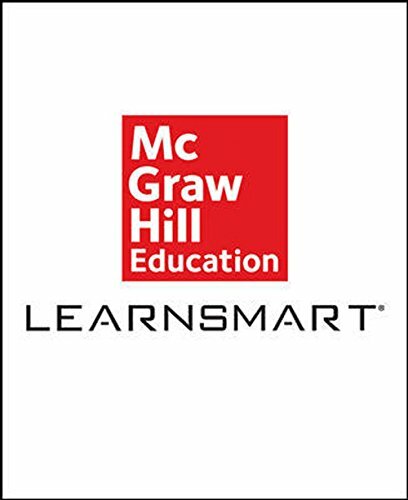 Fortifying this process at every turn is LearnSmart, a powerful, super-adaptive learning program that guides students on an individualized path toward mastery of all the vocabulary and grammar in Conéctate. Active learning: Conéctate gives students the opportunity to explore language and culture through interactive activities that keep them focused and engaged. Vocabulary and grammar in Conéctate are taught using an active learning approach, nudging students to discover new vocabulary and language rules through a carefully balanced mix of inductive and explicit presentations and hands-on learning. Students are similarly asked to take an active role in an immersive online game, Practice Spanish: Study Abroad, designed around a study abroad experience in which they leverage their language and cultural skills to accomplish tasks and solve problems in various real-world scenarios. Integration of culture: Building on the active learning theme, students develop and apply critical thinking skills as they draw personal conclusions about the rich culture presented throughout Conéctate. Culture is embedded within the language activities themselves, included in notes that expand on the activity at hand, and seen through the integrated video that forms the basis for many activities in each chapter of the text. This authentic, unscripted video introduces students to useful chunks of language, real-world Spanish, and a wide range of topics related to cultural themes. Conéctate’s stunning video was shot in Spain, Panama, Miami, Argentina, Costa Rica, and Mexico, and exposes students to a wide variety of people in each country who discuss topics that are familiar and engaging to students. Mobile Tools for Digital Success: The digital tools available in the Connect Spanish platform with Conéctate also successfully promote student progress by providing extensive opportunities to practice and hone their developing skills. These learning opportunities include online communicative activities, instant feedback, peerediting, sophisticated reporting, an immersive game, and an interactive eBook with embedded video and audio. The mobile-friendly platform allows students to engage in the course material anytime and everywhere. Connect is the only integrated learning system that empowers students by continuously adapting to deliver precisely what they need, when they need it, and how they need it, so that your class time is more engaging and effective.